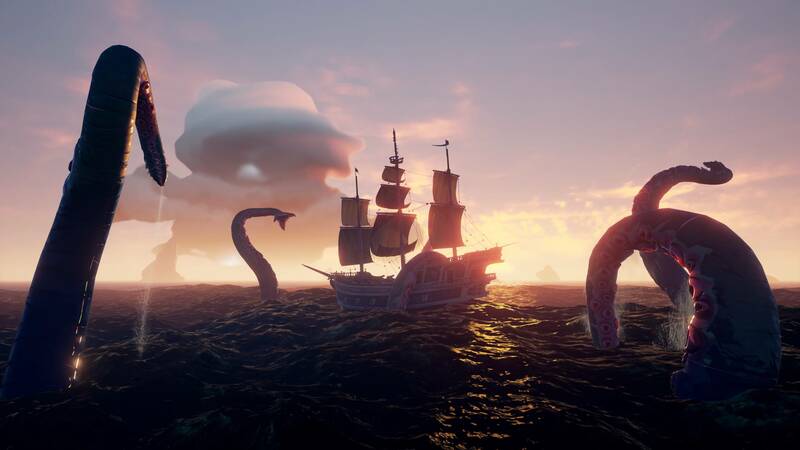 Calling all landlubbers and seasoned captains alike, the next Bilge Rat Adventure has started for Sea of Thieves. Known as Gunpowder Skeletons, this update gives players a chance at more doubloons should they be able to take on hoards of exploding bones. This event begins right alongside a new update too. While the Skeleton Thrones Adventure has now come to an end, alongside the cosmetics and doubloon rewards, the new Gunpower Skeletons adventure has its own to share. Pirates will have to fight off kamikaze skeletons with gunpowder kegs rushing towards them. Players can take on this challenge for doubloons until July 10th, with said booty able to be traded towards special cosmetics. The new 1.1.4 patch launched alongside this event also introduces changes to a variety of mechanics, such as giving the gunpowder kegs the explosive force to rock ships, tweaking Skeleton and Megalodon behaviours and fixing some UI problems the community has asked for. You can see the lengthy patch notes on the official site here.